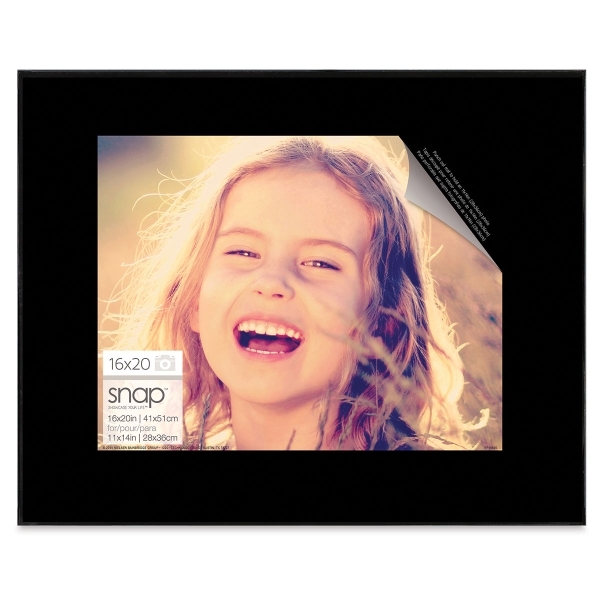 Nielsen Bainbridge Snap Front Loading Frames have a contemporary design that complements photos and artwork. Made of black plastic, they include a glass face that pops out in a snap for quick and easy front loading. Smaller sizes also include a snap-in easel for tabletop display. Front Loading Frame, 20" x 16"
™ Nielsen Bainbridge is a trademark.™ Snap is a trademark.